It’s easy to forget how much work goes into creating a piece of clothing. 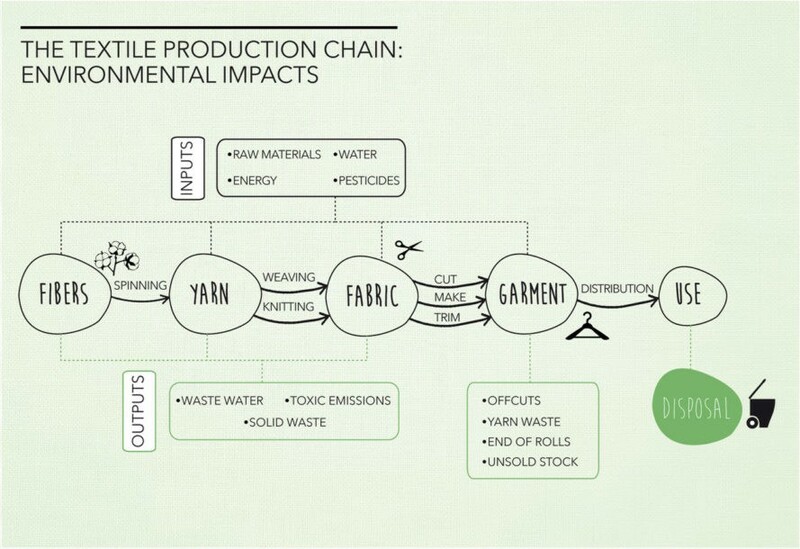 Even the most basic of T-shirts requires supply-chain calisthenics to get from “fiber to fabric, fabric to garment.” Some of these intricacies are laid bare in this infographic from the team behind Scraps: Fashion Textiles and Creative Reuse, an exhibit on view at the Cooper Hewitt, Smithsonian Design Museum from now through April 16. Besides the boatload of raw materials, water, energy, and often toxic chemicals each supply-chain phase consumes, they also result in myriad types of solid, liquid, and emissions waste. Kinda puts everything in perspective, doesn’t it? It's easy to forget how much work goes into creating a piece of clothing. Even the most basic of T-shirts requires supply-chain calisthenics to get from "fiber to fabric, fabric to garment." Some of these intricacies are laid bare in this infographic from the team behind Scraps: Fashion Textiles and Creative Reuse, an exhibit on view at the Cooper Hewitt, Smithsonian Design Museum from now through April 16. Besides the boatload of raw materials, water, energy, and often toxic chemicals each supply-chain phase consumes, they also result in myriad types of solid, liquid, and emissions waste. Kinda puts everything in perspective, doesn't it?